Divorce is never a fun topic to talk about or experience. However, it is a reality in the lives of many people. 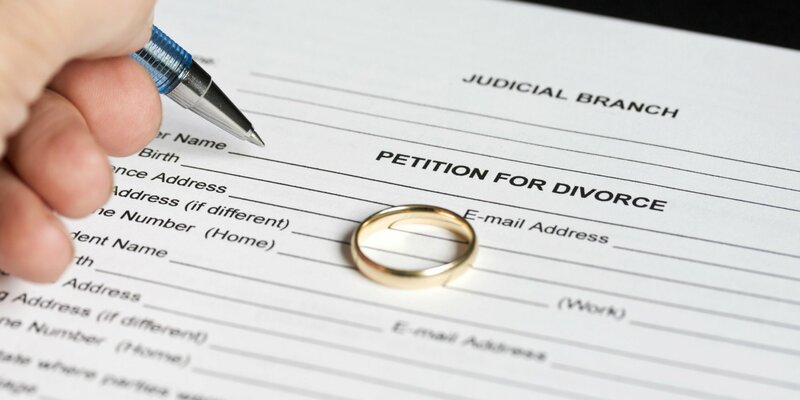 Despite its prevalence in our society, divorces are not as common as they once were. A report published by Bowling Green State University’s National Center for Family and Marriage Research highlighted the most recent statistics: in 2015, the U.S. divorce rate dipped to a 40-year low1. In fact, a study conducted by the same organization found that the U.S. marriage rate actually increased to its highest level since 2009, which indicates that this metric may be stabilizing2. Nevertheless, improving marriage rates and declining divorce rates do nothing to fix the problems you or a loved one may be going through. How can someone financially survive a divorce? If you find yourself in this unfortunate predicament, here are a few helpful reminders. Divorces are notoriously costly. Not only do couples who are going through a divorce pay absurd amounts of money for the services of divorce lawyers: many couples must also figure out who will keep the house, who will have primary custody of the kids, and how the financial assets will be allocated. A divorce is already a stressful event in its own right and these added stressors take their toll. A big reason why people struggle with the financial aspects of a divorce is that a dual-income family unit downsizes as the result of a divorce. Everything splits into two pieces, from the amount of household income to the value of retirement accounts. Consequently, it is easy for divorcees to find themselves in a precarious financial situation. In order to financially survive a divorce, you need to formulate a budget in order to ensure that your bills are paid. A key part of planning is making sure you have copies of every important document you can think of. Examples include bank statements, tax returns, investment statements, wills, trusts, insurance policies, real property deeds, and car registrations. Following a divorce, it may be difficult to try to find these documents later. By having copies of all of these documents, you can also use the hard numbers to formulate your new plan going forward. This important step will go a long way in helping you avoid overlooking an asset: remember that everything your spouse owned belongs to you, too. Once you have developed a new budget to survive on a day-to-day basis and obtained copies of key documents, it is important to sit down with a tax professional and a financial advisor to help formulate a game plan that will enable you to financially thrive as you build a new life. This may be especially necessary if your former spouse self-managed all of your investment accounts. Do you suddenly have a retirement account that you have no idea what to do with? Sitting down with a competent and compassionate financial advisor will provide you with some peace of mind and, most importantly, a suitable plan tailored to your specific needs. With sufficient planning and a sound strategy for the future, it is possible to financially survive a divorce. One of the worst parts of divorce is the stress that is associated with it, but meeting with the right people may help to alleviate much of that stress. If you, a loved one, or a friend is going through a divorce and may have questions about how to obtain a review of your financial situation and develop a plan, call my office at (800) 393-4001. My team would be happy to point you in the right direction.